A short sheltered walk from the train station. 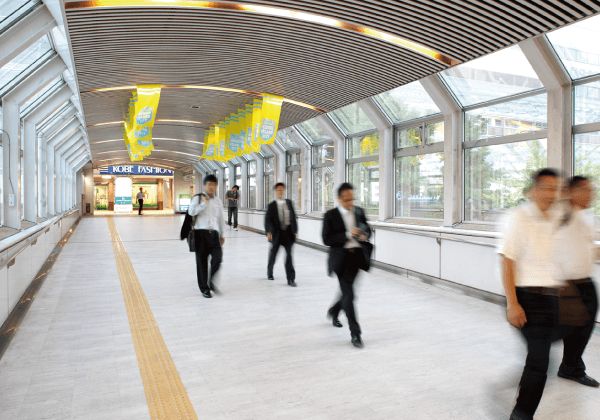 Only a 1 minute walk from the Rokko Liner Island Center Station using a sheltered pathway.You can also enjoy easy and convenient commuting and shopping without an umbrella in the surrounding shops. 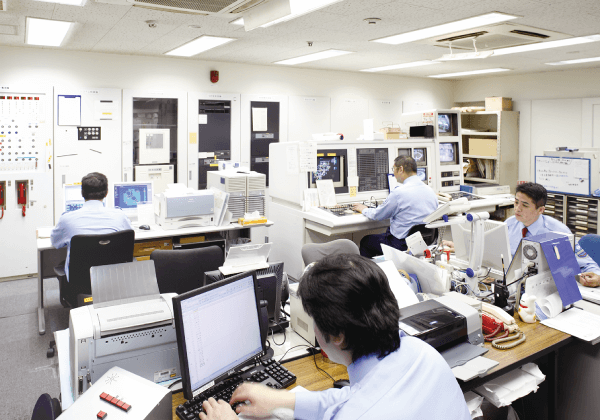 Thorough security and disaster prevention systems 24 hours ,year round. 127 cameras are monitoring not only the public areas, but also the complex internal facility areas. 24-hour-manned guards are monitoring throughout the year. This makes possible quicker identification of problem sites, and verification and handling of a situation in times of emergencies . The Kobe Fashion Mart building received its building certification in March 1989 and has fulfilled the revised quake-resistance standards. After the Great Hanshin Awaji Earthquake, the building frame structure was re-examined and fully verified secure of “A” rank for all items. There are various types of power supply, such as single line, main line and backup line, and spot networks, etc. Kobe Fashion Mart introduced the spot network system with 3 transformers. This system requires higher initial costs than other systems, however, it has the least occurrence of blackouts and is the most reliable. Electric power and water are stored for emergencies in this building. Power supply for the firefighting equipment, elevators and water supply pumps are possible using the non-utility generator which can work for 5 to 8 hours. The volume of the stored clean water and reclaimed water are 80,000 litres each. The clean water is for drinking, and the reclaimed water is for toilets, etc. Since the building is using a community air-conditioning system along with the surrounding buildings, there is no heat source installed in the building. This is therefore a more safe and reliable air-conditioning system. Rokko Island overlooking Mt. 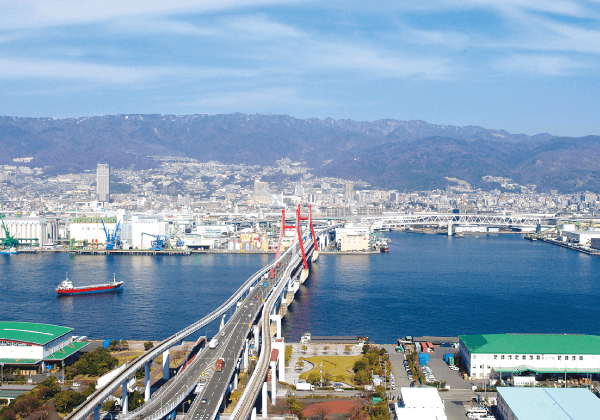 Rokko and the Port of Kobe is located at an excellent access point from the Kobe and Osaka areas and surrounded by excellent trade areas, such as east Kobe, Ashiya and Nishinomiya, etc. The Kobe Fashion Mart located in the middle of Rokko Island is connected to the Rokko Island Line (Rokko Liner) Island Center station. Limsin buses from the Kansai International Airport and non-stop buses from the Shin-kobe Station and the JR Sannomiya Station of Shinkansen are all accessible.